Being a playwright in Boston is difficult. Resources are scattered and not well publicized. 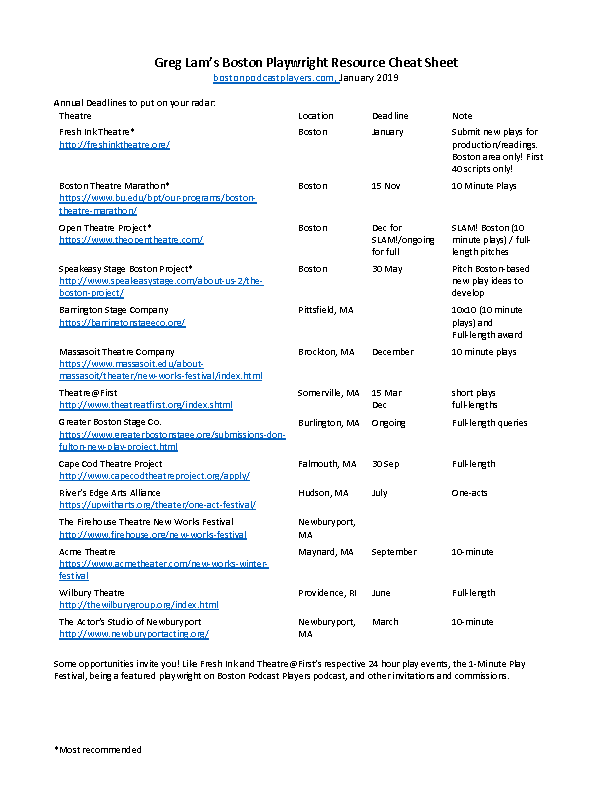 To help make local playwrights’ lives easier, I’ve pulled together all of the deadlines, resources, groups, and information I could find that a playwright in Boston (and beyond) would want onto a two-page document which I will make available for free going forward, updating as I learn new things. To use the cheat sheet, Download the PDF. The password to access it is the first name of the architect mentioned in the interview for Livian Yeh’s episode of the podcast.